- This game originated in Jerusalem. - Did you know ga, in Hebrew, means touch. The name is "touch, touch" ball. The ball is not in play until the ball touches the ground 2 times. 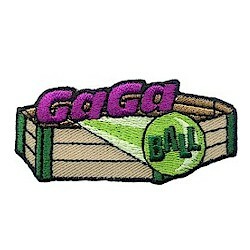 That's why it is called GaGa ball.